The Dixie Jackson Arkansas Missions Offering and Week of Prayer each September is intended to highlight and encourage Gospel work that Arkansas Baptists are faithfully supporting in our state and beyond. Arkansas Baptist churches are the partners, prayer warriors, and volunteers behind new church works, community missions like the Acts 1:8 One Day Mission Trip, collegiate ministries, and Disaster Relief. As the Dixie Jackson Arkansas Missions Offering Week of Prayer begins, ask God to open the hearts of churches and individuals across the state to the passion and missions of the Great Commission. Pray for your own heart to be open to heed the command to go, give, and pray. At the University of Arkansas, lives of students like Sierra Chavez are being changed by the Gospel. They are discipled, led to connect with local churches, then sent out to multiply the harvest. Pray for BCM directors and members in Fayetteville and around the state who are reaching students like Sierra. Church planters cannot succeed alone! Pray today for Roderick Rogers of Fordyce, as well as other church planters in Southwest Arkansas and beyond. Also pray for Arkansas Baptists to rise up and partner with church planters through prayer, financial giving, and hands-on participation in the work. On October 6, Arkansas Baptists will gather in Northeast Arkansas for an Acts 1:8 One Day Mission Trip, ministering alongside Trinity Association’s churches. Pray for many workers to join the task with open and willing hearts, for the logistics of the day, and for a rich harvest of souls. As the call has gone out for Disaster Relief workers, college students have responded! Offer a prayer of thanksgiving for this new generation of workers. Pray for more workers, for hearts to be receptive to the Gospel, for financial support to grow, and for your role in this ministry. Teams staffing medical and dental clinics around the state seek to meet patients’ spiritual needs even while tending to physical needs. Pray for their wisdom as they speak truth to the patients. Pray also for more Arkansas Baptists to catch the vision through prayer, giving, and serving. Focus on thanksgiving today! Thank God for the money that has been raised, Arkansans who have joined in the work, and all the Lord has accomplished through the Dixie Jackson Arkansas Missions Offering and ministries in the past year. Finally, thank Him for the ways He has used you. When it comes to sharing the Gospel both at home and abroad, Arkansas Baptist churches get it. 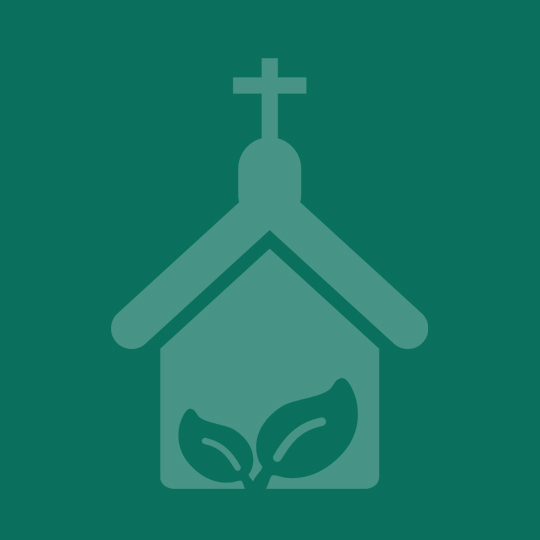 The Dixie Jackson Arkansas Missions Offering and Week of Prayer each September is intended to highlight and encourage Gospel-work that Arkansas Baptists are faithfully supporting in our state and beyond. Arkansas Baptists are the prayer warriors and partners supporting new church works. They are the missionaries behind the Acts 1:8 One Day Mission Trip and other community missions. They are the mentors in Christian Men’s and Christian Women’s Job Corps and Explore Your Call summer internships. 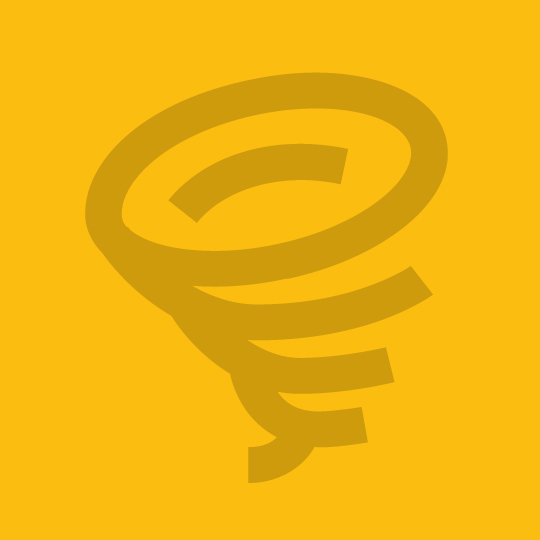 They are Disaster Relief volunteers serving to bring Help, Healing, and Hope. 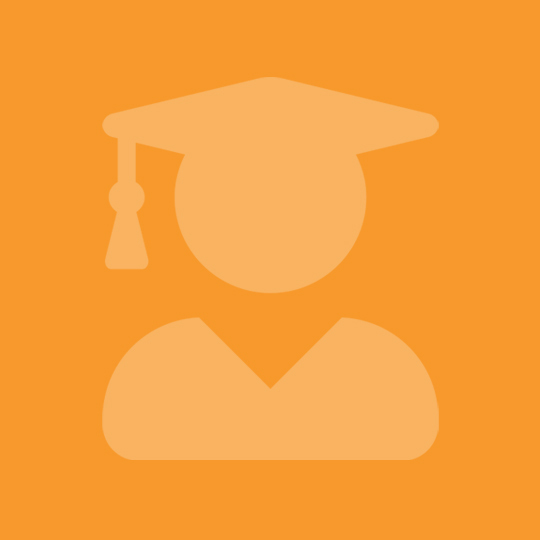 They are missional couples inviting international students into their homes, and much more. Dixie Jackson, the missionary for whom the offering is named, devoted her life to fulfilling God’s mission and involving others in that mission all year long. And now, 100 years later, we have the same opportunity to passionately pray, give, and serve. It's a heart beating for missions. It's us. It's you. It's me. 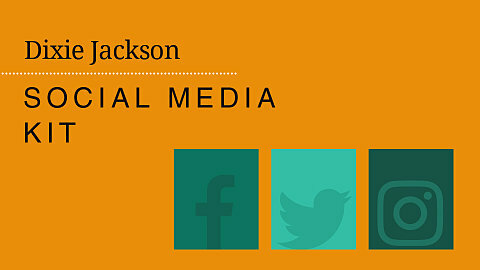 I am Dixie Jackson. This is why we will continue to challenge Arkansas Baptists to increase their giving and their involvement. 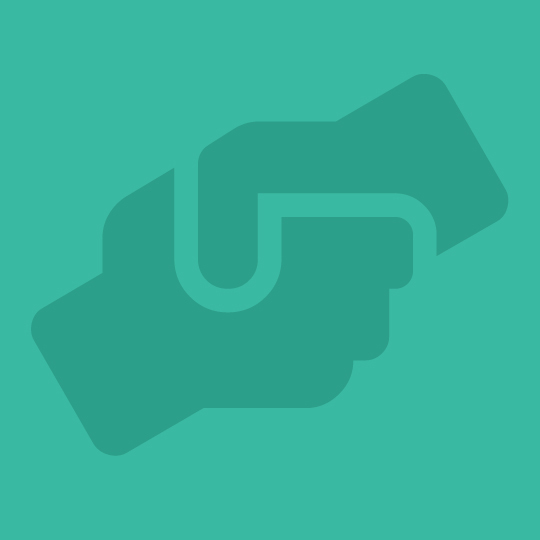 Let’s partner together to impact our communities, our state, the nation, and the world with the Good News of Jesus. 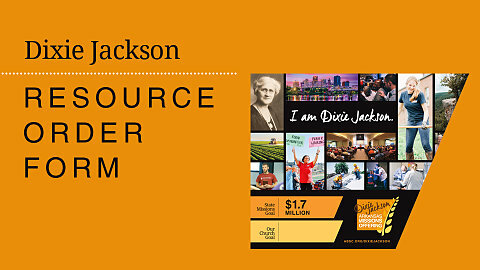 View & download videos featuring our 2018 spotlight ministries made possible by The Dixie Jackson Missions Offering! 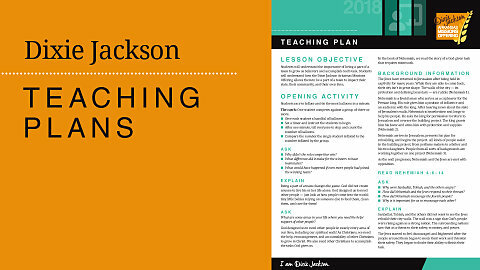 The teaching plans are packed full of material that will help your church grasp the vision of the 2018 Dixie Jackson Arkansas Missions Offering & encourage your church to be on mission. 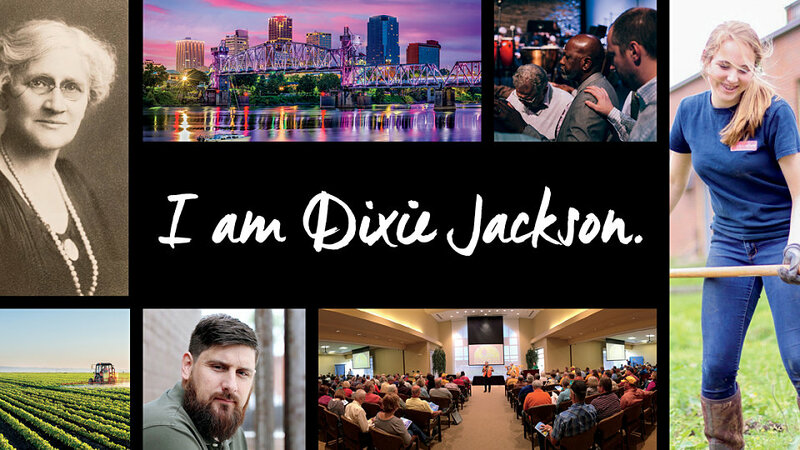 View & download the official 2018 logos & social media cover image for the Dixie Jackson Arkansas State Missions Offering. 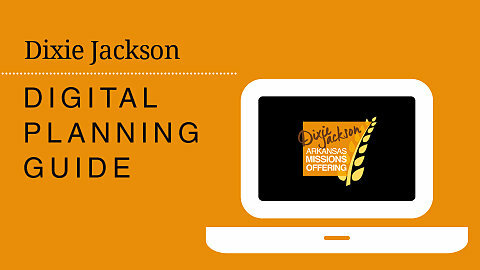 View & Download the Planning Guide for the 2018 Dixie Jackson Arkansas Missions Offering.